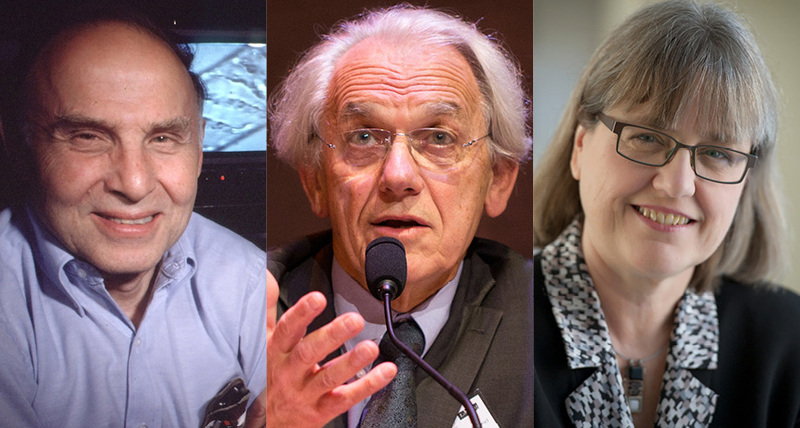 The Royal Swedish Academy of Sciences has selected three scientists Arthur Ashkin (USA), Gerard Mourou (France) and Donna Strickland (Canada) for the 2018 Nobel Prize in Physics. They were selected for groundbreaking inventions in the field of laser physics. Arthur Ashkin (91) received the half prize and remaining half was shared equally by Gérard Mourou and Donna Strickland. He is 96 years old which makes him the oldest scientist ever to be awarded a Nobel Prize. He received the prize for optical tweezers and their application to biological systems. His optical tweezers are able to grab particles, atoms, viruses and other living cells with their laser beam fingers, allowing use of radiation pressure of light to move physical objects. They were jointly awarded for their method of generating high-intensity, ultra-short optical pulses. They have created ultrashort high-intensity laser pulses without destroying the amplifying material, thus paving a way towards shortest and most intense laser pulses ever created by mankind. Their innovative technique is known as 'chirped pulse amplification' (CPA) and has now become standard for high-intensity lasers, including ultra-sharp beams used in corrective eye surgeries. Note: With this, Strickland (59) became third woman to have received Nobel Prize in Physics, after Marie Curie in 1903 and Maria Goeppert Mayer in 1963. Q. The Royal Swedish Academy of Sciences has selected three scientists Arthur Ashkin (USA), Gerard Mourou (France) and Donna Strickland (Canada) for the 2018 Nobel Prize in which field?